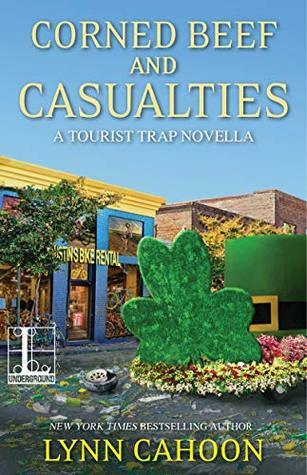 The audiobook version of this St. Patrick's Day themed novella kept me company on an afternoon walk and it was an enjoyable listen. I'm not familiar with the rest of the series, so I wasn't sure of the significance of some of the relationships between Jill and the other characters, but I was invested in the solving of this specific murder, and I thought the author managed a lot of development in a small amount of space. My two-star rating would probably be closer to a three if I were a regular reader of the series. Sign into Goodreads to see if any of your friends have read Corned Beef and Casualties.